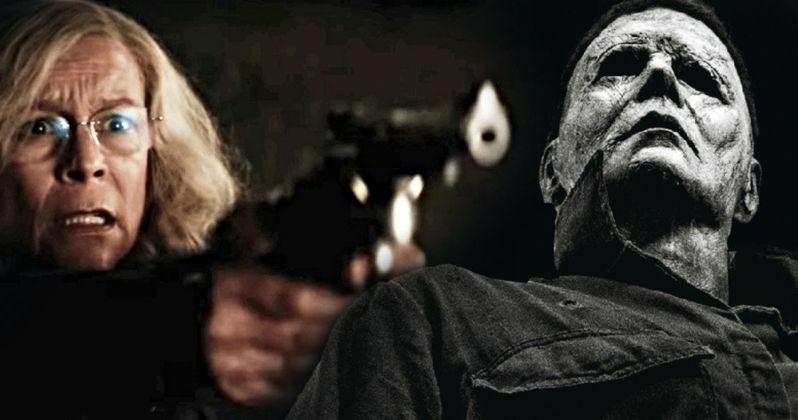 Halloween is in theaters October 18, and horror fans are getting truly excited for this sequel to the 1978 original directed by John Carpenter. Audiences who have already seen the movie are mostly in love with it, though there are a few detractors. One thing is certain, if we're to believe the cast and crew behind this new iteration, it will truly be one scary ride. We have some select new interviews with the cast and crew that delve into the mythology behind Michael Myers, and what it takes to make the Boogeyman scary again in this modern age. "I think what fans can really expect is the truth. The truth about what happens when you have a trauma 40 years ago. It's a movie about trauma and generational trauma. Its about a young woman who's life was altered by this random act of violence. Hopefully it resolves with the woman being able to take the narrative for her life back from the perpetrator." This new Halloween is picking up where the original left off, and all the sequels in-between have been wiped from the official canon. Forget Halloween: H20 and Halloween: Resurrection. Those stories never really happened to Laurie Strode. Audiences haven't actually seen her since that fateful night, at least according to this new movie and Jamie Lee Curtis' take on it. "Eat, drink, sleep, prepare, protect. She is a wounded warrior on the hunt." Jamie Lee Curtis isn't sure how individual fans will react to the new movie. But she has seen it with a couple of different audiences now. And it garners a, "very powerful reaction." She goes onto call it a very scary movie that is incredibly violent, with some shocking set pieces. It is extraordinary. Director David Gordon Green is also interviewed about he movie. Asked what the most intimidating factor in rebuilding this franchise is, he says this. "The most intimidating part of tackling a franchise like Halloween is how to bring your own fingers into it. So many stories have been told of Michael Myers. So much mythology has evolved. How can I make something that feels both interesting and epic? So Michael wants to strip it down to its core essence of evil. Tell a story that felt very personally self indulgent. Bring great collaborators on board. People I really trusted in to help navigate." David Gordon Green's first rule in making Halloween was to make a very scary movie. He calls it a tribute to John Carpenter's 1978 original. While it is a horror movie, it does mix genres. There is some improv comedy, and some very interesting emotional elements laced within. But the scares were essential. He goes onto say this about making Michael Myers scary again. "Michael Myers is a very specific villain, because he's a lot less charisma then some of the...Like, Hannibal Lector, or Freddy Krueger, I feel that he almost fits more into a classic movie monster motif. There is something people love to see about him. I feel it's the nothingness that we project our own anxiety, horror and fear onto." "It's always a good time for a scary movie, and right now there is a lot of nostalgia. There hasn't been a good Halloween movie since maybe the first one John did. This is part two, forty years later. Michael has been in jail for a long time. Now, Laurie and her family are going to counter a lot of trouble." John Carpenter, who created these characters and directed the original upon which this is following, doesn't say much. But what he says is very to the point. He created and composed the new music heard in the movie, spring boarding off his own original soundtrack. He doesn't look at the original Halloween as some precious thing. He says this. "It's just a movie. I produced the music [for the new Halloween]. You will be scared, come see our movie, I promise you will be scared." More than anything, the cast and crew want everyone to know that the new Halloween pays homage to the spirit of John Carpenter's Halloween. It is garnering some great reviews. And it should be a big hit this fall holiday season. Take a look as Jamie Lee Curtis, David Gordon Green, Jason Blum, and the master of horror himself, John Carpenter prepare you for the scariest movie of 2018.